@BifBangPow: Hey, Wanna Play? New Dexter 10th Anniversary Pin Mate Set to Die For! Hey, Wanna Play? New Dexter 10th Anniversary Pin Mate Set to Die For! 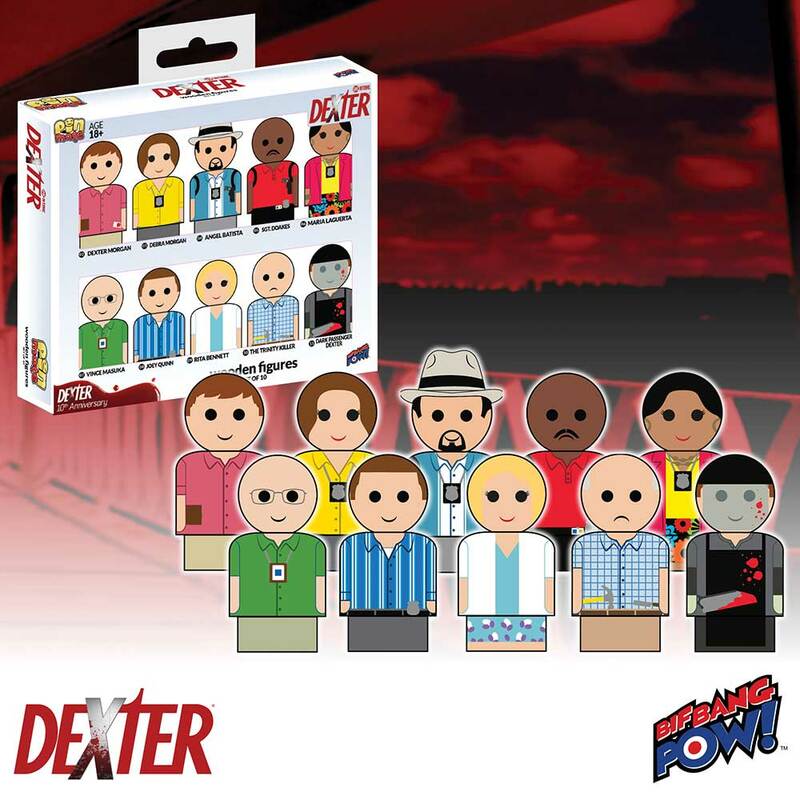 Everyone's favorite serial killer returns with his friends in a special limited edition Dexter Pin Mate Wooden Figure 10th Anniversary Set of 10 - now available for pre-order. 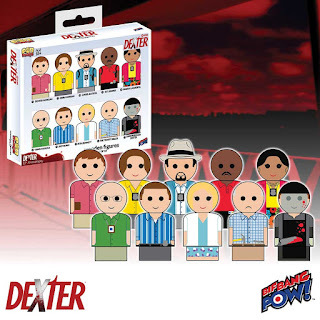 Commemorating the award-winning show's first episode in October 2006 on Showtime, this Dexter anniversary Pin Mate™ set celebrates everyone's favorite serial killer along with some of the show's most beloved characters, which are individually numbered 2-11 (on the figure's bottom and the packaging). Dexter Morgan is number 2; Debra Morgan is number 3; Angel Batista is number 4; Sgt. Doakes is number 5; Maria LaGuerta is number 6; Vince Masuka is number 7; Joey Quinn is number 8; Rita Bennett is number 9; The Trinity Killer is number 10; and The "Dark Passenger" Dexter is number 11. Measuring a mere 2-inches tall, each one-of-a-kind Pin Mate™ figure captures key character nuances with 360-degree, hand-painted artwork that includes some decal elements. Only 504 sets available in this one-time, limited production run! Be among the first: pre-order yours today! And don't forget - the very first figure in this series, a blood-spattered Dexter, is still available! 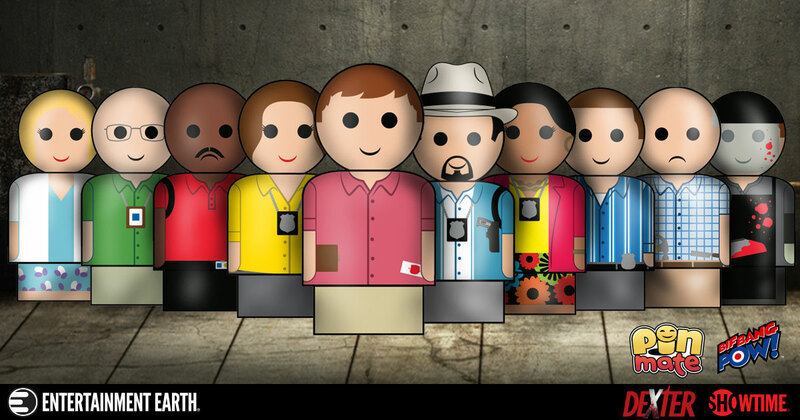 Check out the complete line of Pin Mate™ figures from Bif Bang Pow! only at Entertainment Earth.